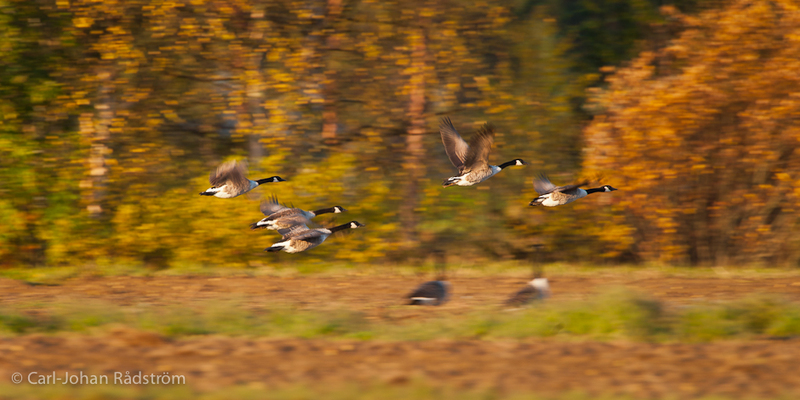 Canada Geese (Branta canadensis) in flight. The colors and the birds, often in large numbers. I love autumn!